Aside from the expo, the organizers have conceptualized exciting opportunities for trade visitors, such as Technical Seminars; Business Matching Sessions; Zone sections for Innovation, Drones, Virtual Reality; and Digital Raffle Draws. 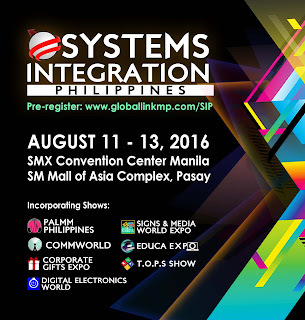 SIP 2016 will open its doors from 10:00 am to 6:30 pm daily. For hassle-free claiming of IDs during the event, pre-register online via www.globallinkmp.com/SIP. Entrance is free. To inquire, call GLMP at (02) 893 7973 or check out them out on Facebook. 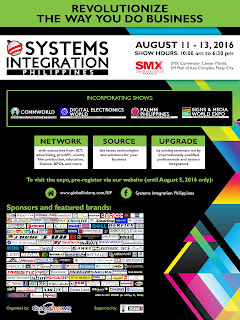 This year’s SIP will also be held alongside Wire and Cable Philippines 2016. With the country gaining recognition as Asia’s center for manufacturing and production, this trade event marks its 3rd year as the networking hub for key industry players from across 20 countries. 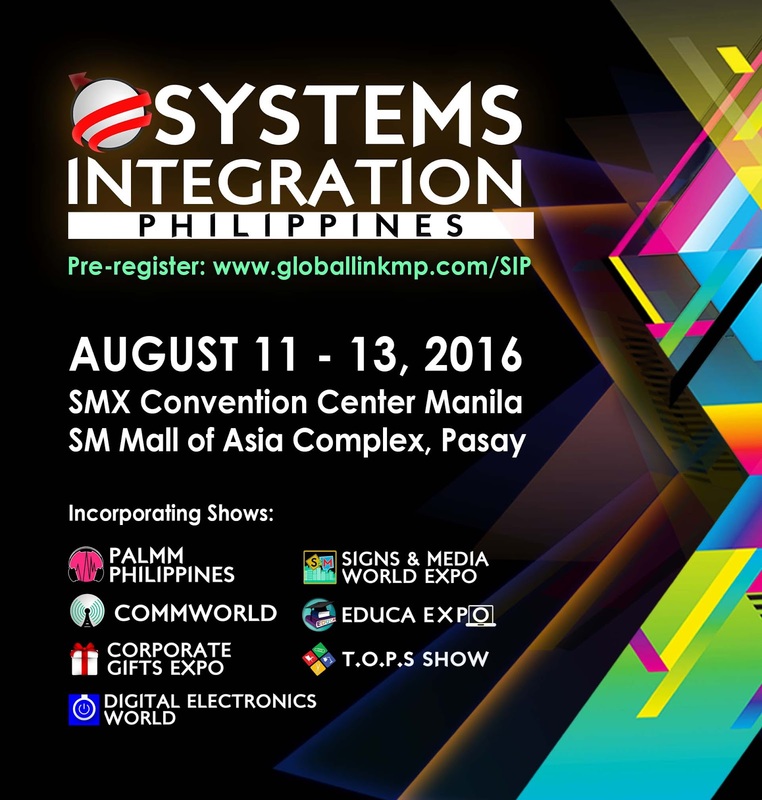 Don’t miss on this opportunity to consult with systems integrators of the most trusted companies today! Some of the show sponsors include Avolution, Big Pix Graphics Systems, Kensonic Inc., Inewvation Philippines Corp., Microdata Systems & Management Incorporated, Multistiq, Inc., Norde International Distributors, Stagecraft International, Sun Cellular, ABS-CBN, Philippine Daily Inquirer, The Philippine Star, Manila Bulletin, BusinessWorld, Business + Class, InAVate APAC, Lighting Audio Visual Asia (LAVA) Magazine, Speed Magazine, PC Buyer’s Guide, McGuire Publishing, Asia Signs, Heartshaper Asia, NegoSentro, Eagle Broadcasting Network, DZEC RadyoAgila 1062, NET 25, Light Network, My Pinoy TV, Giz Guide, Geeky Pinas, Back2Gaming,Astig.Ph, PinoyTekkie, WazzupPilipinas, Tekkie Pinas and many more.